FBI’s cooperation with the CIA and NSA is better than ever, but more is needed to make the Bureau a truly global intelligence and investigative agency, says a newly released US government report on agency’s post-9/11 transformation. The report represents the final review of the commission appointed by Congress in 2014 to check on the FBI’s progress in implementing the recommendations of the 9/11 Commission, published in 2004. Former attorney general Edwin Meese III, former ambassador Timothy Roemer and Georgetown University professor Bruce Hoffman authored the report, released Tuesday. No new evidence has emerged concerning the 9/11 attacks, the commission said. The FBI did not have a source with direct access to Osama bin Laden in the 1990s, nor was there credible evidence connecting a Saudi family living in Florida with the 9/11 hijackers, says the report, refuting media claims. The FBI is asking Congress to approve a budget of $8.48 billion, including additional funding for cyber investigations. “The Review Commission believes that the FBI’s vision of the future should be one in which criminal investigation, counterintelligence, intelligence collection and analysis, and [Science and Technology] applications are seen as complementary core competencies of a global intelligence and investigative agency,” the report said. The Commission looked into the Bureau’s handling of five terrorism cases since 2008: the New York subway plot led by Najibullah Zazi; the Mumbai and Denmark plots by David Headley; the Fort Hood shooting spree by Major Nidal Hasan; the Times Square attack by Faisal Shahzad; and the Boston Marathon bombing by the Tsarnaev brothers. FBI’s informants failed to alert the bureau to the plotters, or provide “actionable intelligence” to prevent or respond to the plots, in all five cases, the Commission noted. It identified “lapses in communication, coordination, and collaboration” between FBI’s offices as well as other agencies involved. 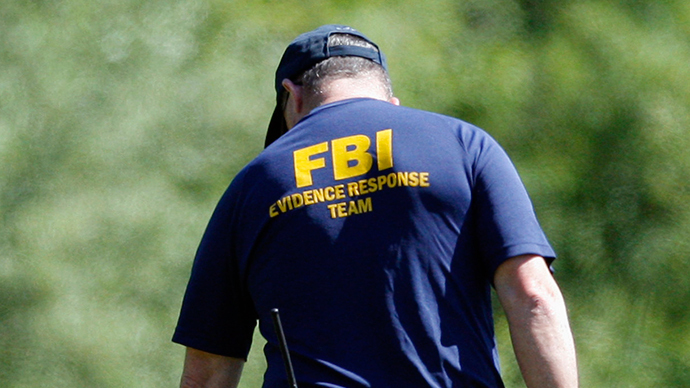 In all five cases, FBI surveillance authority derived from the Patriot Act, FISA, ECPA and CALEA laws, was described as “pivotal” to the investigation. One of the greatest challenges identified in the report was “the age of Internet radicalization,” requiring the FBI to engage in “continuous innovation” in tracking down communications by suspected terrorists. “The proximity of such communications to otherwise protected First Amendment activity increases this challenge,” the report said. “The FBI today is not sufficiently integrated” into the US intelligence community, the Commission found. The bureau has “made progress in building the framework to support its intelligence function but continues to lag in capability.” Of particular concern was the FBI’s lack of intelligence analysts and their integration into the workforce. In addition to intelligence analysts, the Commission recommended the bureau should hire more linguists and better integrate them into operations. Presently the linguists “who are still in short supply, are principally accessed by a virtual system,” the report said.